The World Bank’s Board of Executive Directors has approved support for Sierra Leone’s efforts to create a strong social safety net system, that it says will assist poor and vulnerable households, beginning with a pilot program covering four districts and 12,000 households. When the country’s finance minister delivered his budget speech to parliament in December 2013, it was clear that after six years in office, the government has failed to address the growing poverty and disparities between the rich and poorest in society. Jobs are hard to come by in Sierra Leone, despite the economy growing by an annual average of 6%, largely driven by an upsurge in iron ore mining. The overall economic prospect for the next five years is not very positive, and poverty is projected to get worse, if concerted action is not taken to diversify the economy and attract investments in key sectors such as agro-based manufacturing. The government is instead prioritising cash handout programme as a means of tackling poverty in the country – a policy many critics believe, will be counter-productive in the long-run. Today, the World Bank has announced that through the IDA it will provide a US$7 million grant contribution towards the Sierra Leone Social Safety Net Project. It says that this funding will help set up the building blocks for a nationwide social safety net system that can be used to deliver cash transfers to the poorest households, enabling them to buy food, send children to school, and protect assets such as livestock. But critics of this policy say that such support can only reinforce the culture of dependency on aid, rather than developing the skills of the poorest in society to take advantage of improved economic opportunities. The country’s construction industry alone needs an estimated 10,000 low skilled workers in the short term. And this is likely to increase to over 50,000 in the next five years as building construction in Sierra Leone accelerates. But the World Bank is confident about the need for such funding support. 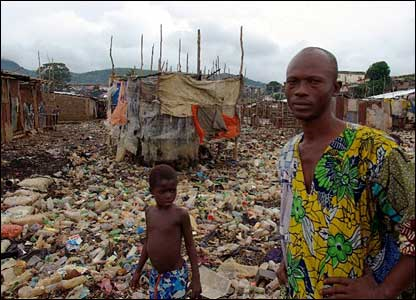 “While economic growth has been strong in Sierra Leone, poverty and food insecurity have remained very high and human development indicators such as maternal health and survival are weak,” said Francis Ato Brown, World Bank Country Manager for Sierra Leone. 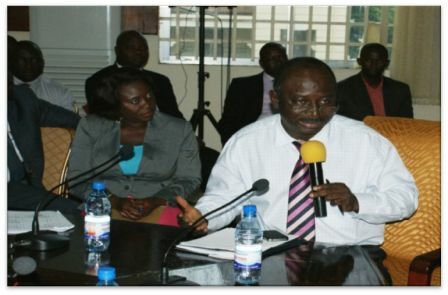 The Bank says that the pilot program will make direct cash transfers to households in Kono, Bombali, Moyamba and Western Rural districts, usually to women, who tend to spend the money in ways that benefit the family. 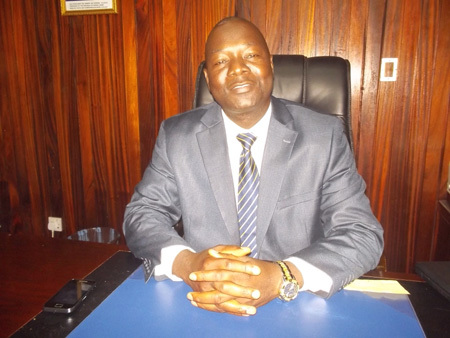 Eventually, the system can be scaled up to all 14 of Sierra Leone’s districts, reaching poor families across the country, the World Bank reported today..
“It will not only put food on the table of the poorest, it will also enable them to access social services like health and education”, said Saidu Conton Sesay, The Commissioner, the National Commission for Social Action. The project will also help create systems for targeting and registering eligible households, making payments that are electronic to the extent possible, redressing grievances, and generating management data and information. The World Bank believes that these components can be used for the social safety net as well as other programs. 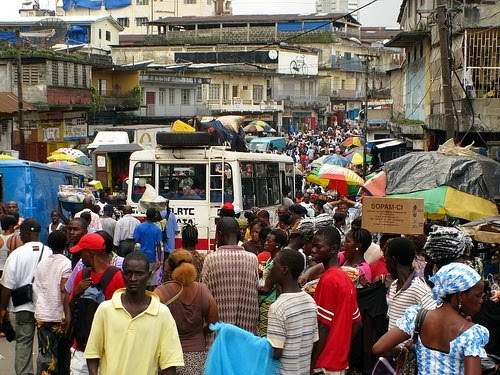 “Sierra Leone is now committed to move beyond expensive emergency aid during crises to a well-planned social safety net system that will help reduce poverty and promote social cohesion,” said Suleiman Namara, World Bank Task Team Leader for the project. 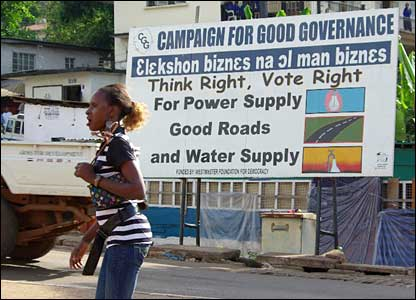 But what is the total cost of this programme and how much contribution has the government of Sierra Leone promised? amount of Le 7.6 billion. Of this, Le 4.0 billion is to support various social protection services including grants to welfare institutions, the Disability Commission, diet for Approved Schools and Remand Homes, and social development programmes. “Le 1.3 billion is also allocated to support gender and children’s programmes including the Campaign Against Teenage Pregnancy. In addition, Government is allocating Le 1.7 billion to the Children’s Commission. transfers to the aged and vulnerable persons. “Le 1.8 billion is allocated to Local Councils for the implementation of social welfare services and for gender and children’s services at the local level. Net Project estimated at $11.0 million which will be implemented in 2014 is almost complete. Government will contribute about Le4.0 billion to this project. “The project will provide direct cash transfers to 22,000 extremely poor households and will specifically target women to ensure that benefits accrued to disadvantaged women, pregnant and lactating mothers and young children will support disadvantaged households. “This will put money in our people’s pockets, help our youths and women. of Remand Homes and Approved Schools. “An amount of Le 930 million is allocated as our contribution to Social Protection projects implemented by National Commission for Social Action ( NaCSA). The IDB is providing US$ 23.4 million for the implementation of various community-driven and social action projects implemented by NaCSA. There is little doubt, those in society who may receive this $11 million cash for food support would be ‘grateful’, but will it empower them for the future? Will it help eradicate the culture of dependency; or will this political gesture be construed by critics as cash for votes at the coming 2017 general elections? I always believe in the adage that if you teach a man to fish, he will never ask you for fish again. In my opinion, cash handouts are not the way to help the poorest in society. They become dependent and lazy. This cash would be better used to train youths in construction and other associated skills. Everyone is building a house in Sierra Leone (or so it seems), so teaching them to do tiling, plumbing, plastering, paving etc to a very high standard will always put food on the table long after the cash handouts have dried up. The Chinese are employed when construction skills of a very high standard are needed. They use our youths as ‘fetch and carry’ labourers. Why not train our numerous unemployed youths who idly roam the streets from morning to night – these construction skills? Women are very good at micro-managing, so helping them to start business via micro-financing schemes would go a long way to improving the lives of their families. They could be helped to rent a shop by paying the rent for the first six months whilst they are trying to stand on their feet. Community job schemes could be set up, employing large numbers of youths to keep the city clean. Buy them bicycles, brooms, brushes, protective gear and carts, so they can clear the streets. They can be taught how to repair the gutters and pavements. Instead of cash handouts, President Koroma should ask the World Bank to donate brand new incinerators and within a year, I am sure the country will be looking cleaner and smelling fresh.